Some of you that know me well will be fully aware of my past moans and groans prior to my back operation in 2012. My moans and groans now usually stem from lack of hill time! It’s true, I begin to get very restless if I’m not out in the hills or glens. Usually a short burst up a wee hill or a walk with Luna (Hillgoers puppy) can help this emotion but the desire for the Cairngorms is very much always there. I was asked recently to tell the story of my transition of from pre-back operation to Mountain Leader. Gillian Fowler of BackStrong Trust passed on my name to the Cairngorm Club and they asked me to give a presentation at one of their meets. I was a bit apprehensive about this, going in front of seasoned mountaineers to tell them about my hill walking adventures. I was telling Adam Watson about it and he said “just show them some slides” so that’s what I did. There was no need for the apprehension, the crowd were very friendly and they seemed to enjoy me waffling on for an hour. I gave them an overview of my early hill walking days, including a photo I found of myself going on a one-night camp in 2002, no wonder my back gave up, just look at those rucksacks! I talked though the years before my back operation, the operations itself, then I went on to show my change in lifestyle after the operation. How I build up the walking, the growing love for the outdoors, the multiday treks, the wild camps, the TGO Challenge, then the Mountain Leader assessment. I also talked about my decision to change career, how the Windsor Leadership Programme helped me and made me realise what I actually value in life. Then I went on to talk about Hillgoers, how it’s gone so far and what my aspirations are for the future (this is where you help!).  Before I was asked to do the talk, I was also contacted by Neil Reid from Mountaineering Scotland about an article he was preparing for the latest edition of the magazine. We talked through my transition and he kindly wrote up the article for the magazine and there’s also a webpage on it to. I was featured in the article alongside some really inspirational people and I’m humbled to be on the same page as them. Before my back operation I could hardly walk for more than 30mins without needing to sit down. Every couple of months my back would seize up altogether, leaving me either on my back or walking very strangely! This had gone on for years but progressively got worse as time went on. The first time I put my back out was after a long cycle then I twisted my pelvis playing squash, late 20s I think. Years of chiropractors, osteopaths, physio, etc, then eventually lower disc replacement in 2012. I lost nearly 2 stone, stuck to my physio and built my back and core up again. I’ve still lost some flexibility but I’m fitter than I’ve ever been, apart from the wee niggle or two…!! So, the moral of the story is, don’t give up. Go to the hills and they will draw you back. I’m forever grateful for the surgery and help I received post operation. There’s also some great support out there if you suffer from back pain, have a look at BackStrong Trust. Thanks to Neil for publishing the story - You can read it here. This blog is a cut down version of the story, I'd be very happy to present the story to your club / organisation, all I'd ask is in return is a wee donation to a mountain rescue team near you.